Leila Abdul-Rauf is a Bay Area-based composer and multi-instrumentalist. A co-founder of metal bands Vastum, Saros, and electronic/ambient trio Ionophore, she is also a member of Hammers of Misfortune and Cardinal Wyrm. 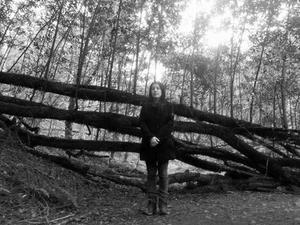 Leila has released three ambient albums under her name, and has collaborated with countless others. She received a Master’s in Audiology and Speech Sciences from Purdue University, with focus on psycholinguistics and child language research. Combining electronics, acoustic instruments, voice and field recordings, Leila creates an atmosphere of introspection, accessing what is often unconscious: songs are not so much composed as captured from dreams. Evoking haunting and desolate places, time and space are distilled down to memories and hidden emotions, melded into a symphony of ethereal melancholy.